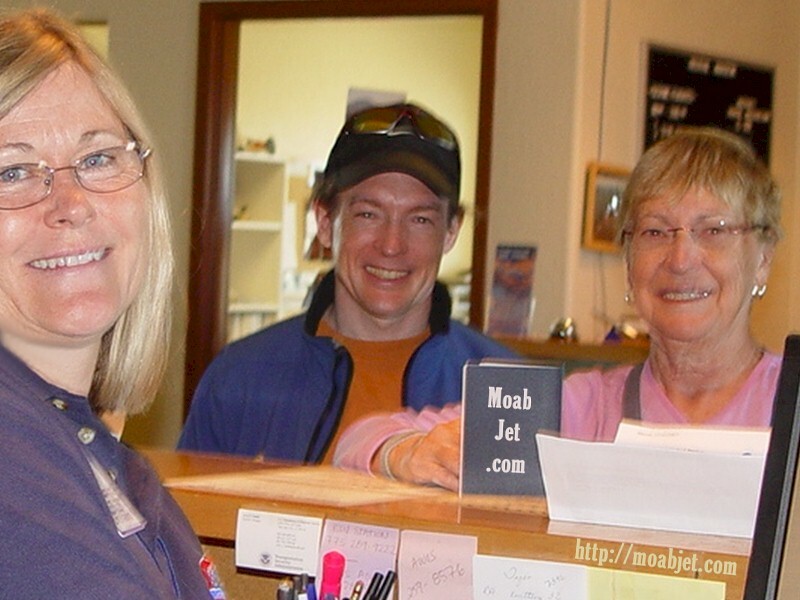 While visiting Moab, Utah in September 2008 I had many great experiences. One of the best was a visit to Canyonlands Field, better known as the Moab Airport. 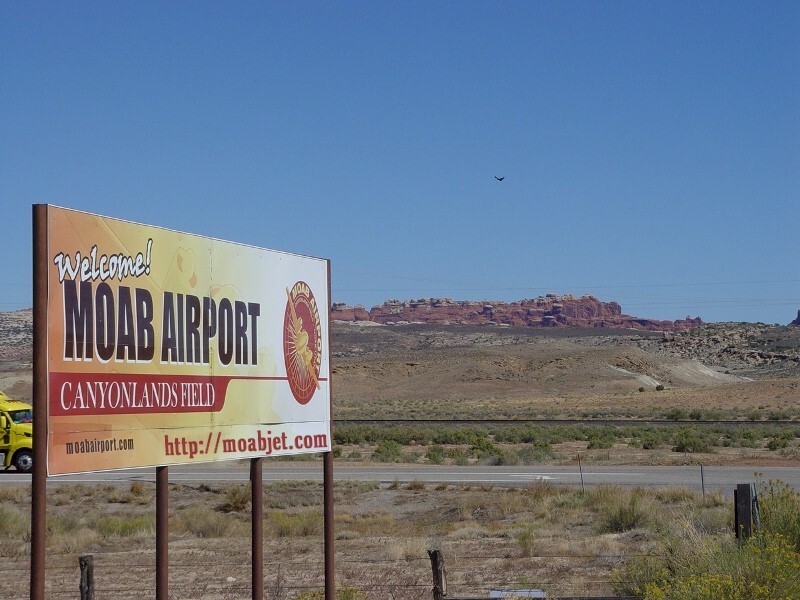 That the regional airport serves Moab and all of Southeastern Utah. With its internationally assigned airport code of “CNY”, one might think it was the “City of New York” airport, but the acronym is equally descriptive of CaNYonlands. The more logical “CAN” designation disappeared early on to the Baiyun Airport in Guangzhou, PR China. Does the acronym “CAN” stand for “Canton”? Regardless of its moniker, CNY is a rare hybrid airport, serving both general and commercial aviation on the same field. As long as there is no commercial flight in the vicinity, citizens may visit the hangers and the open tie-down area. Throughout normal business hours, the terminal is open to all. On the day I visited, I met first with my friend and Great Lakes Airlines employee, Ms. Tiger Keogh. Great Lakes Airlines holds the contract for daily passenger service both “To” and “From” Denver, Colorado. Because of CNY’s relatively low passenger volume, Tiger and her counterparts must wear several hats. That day, I found Tiger checking in two passengers who were heading for the Upper Midwest. Once they received their tickets, they proceeded to the U.S. Transportation Security Administration (TSA) area, where they received a security screening identical to what one finds in larger airports. Mr. Terry Carlson, Manager for TSA at Moab told me that with the help of a federal government grant, his department operates a full security screening facility in Moab. If every “earmark” that the U.S. Congress passed was as worthy as this one, it might restore our faith in government. 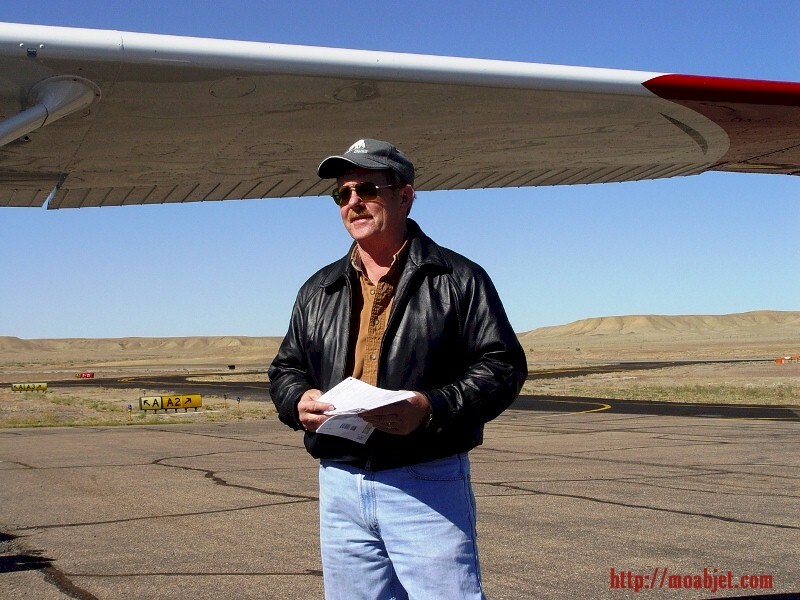 Terry went on to say that if you check in through TSA at Canyonlands Field, you can fly from Moab, through Denver and on to destinations that are as far away as Dusseldorf, Germany, all without any further security screening. Next, Terry offered me a walking tour of the airfield, including a close-up look at the airplanes parked on the tarmac. As soon as we walked on to the field, I spotted a bright red and white Cessna 182, parked in the front row. 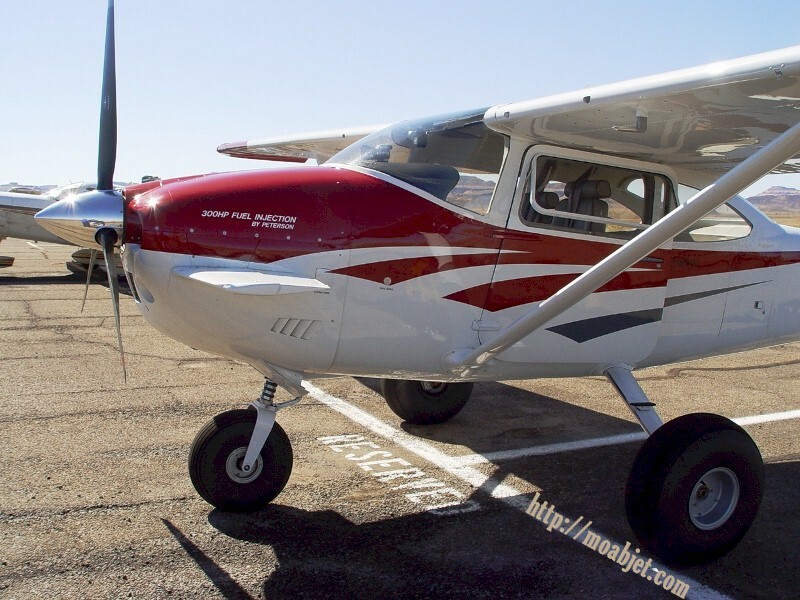 Beyond its eye-dazzling paint job, there was something different about this Cessna 182. With its high stance and longer wings, I would say, “it had attitude”. Standing beneath the wing of this beautiful aircraft was its engineer, manufacturer and owner, Todd Peterson. Todd is a principal at Peterson’s Performance Plus, based in El Dorado, Kansas, not far from Cessna’s home in Wichita, Kansas. You can read all about Todd’s company at http://katmai-260se.com. Todd has experience as both a backcountry pilot and an aeronautical engineer. This rare combination of experience allows him to create unique and functional “off-road airplanes”. 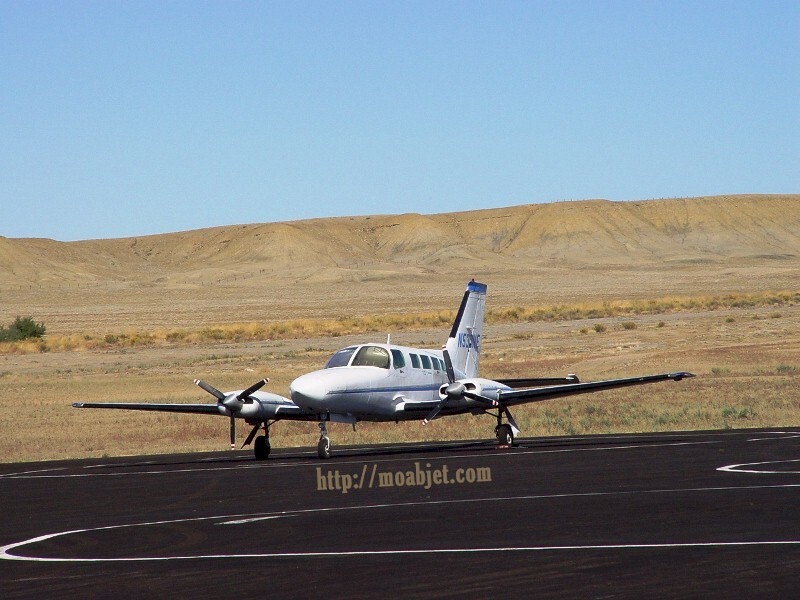 Southwestern Utah is peppered with old airstrips, most of which date back to the uranium boom of the 1950s. When prospecting and mining folded in the late 1950s, so too did maintenance on most of these airstrips. Today these fields often receive their maintenance from volunteers, if there is any at all. 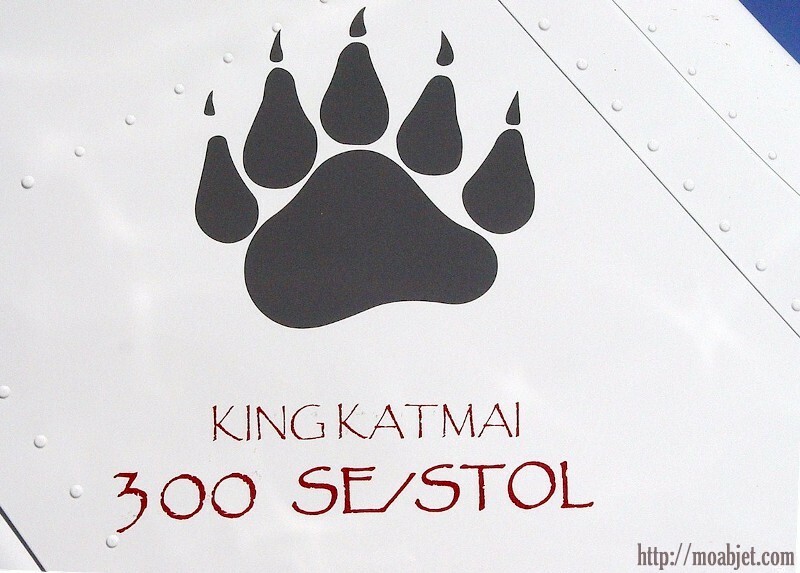 With the area’s extreme variability of wind, weather and terrain, it takes a plane as capable as Todd Peterson’s King Katmai 300 SE/STOL to utilize these fields. When we expressed interest, Todd offered to take Terry and me on a guided tour of his exceptional aircraft. As you might expect Todd’s personal plane is an experimental model, featuring a 300 horsepower turbocharged engine. As Todd spoke, I realized that this red and white beauty looked brand new. Todd’s version of alchemy is to take a small airplane originally manufactured thirty years ago, and then completely transform it. The result is an aircraft featuring safety and performance that were unimagined in the past. To do this, Todd and his team start with the best airframes available, and then accomplish a complete “frame-up” restoration. A peek through the open door to the instrument panel shows that the panel and all of its components are brand new. The details include Katmai’s trademark bear paw logo in the center of the wheel. Since continued use is all that keeps some remote airstrips open, strong landing gear is essential for “ironing out the rough spots”. In the late spring, it is common to make a final approach on a one-way airfield, only to find tumbleweeds encroaching on to the edges of the airstrip. 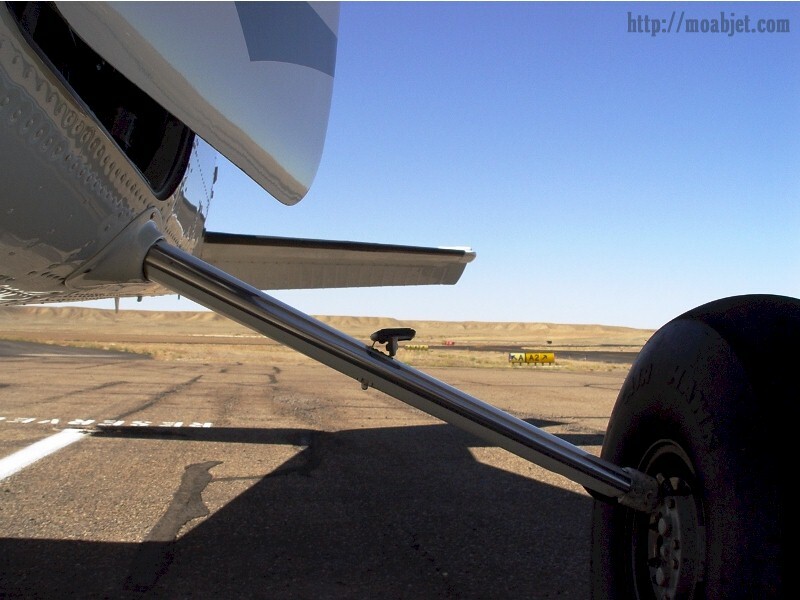 A look at the Katmai’s main landing gear strut shows how “beefy” it is, when compared to original equipment. The stainless steel leading edge acts as a brush-cutter, should errant foliage make its way on to a landing strip. To create an extra safety margin on rough fields, the King Katmai also features oversized balloon tires, designed for rocky or rough terrain. In order to create additional lift and increased airworthiness on short fields and hot days, the King Katmai features beautifully integrated wing-extensions. 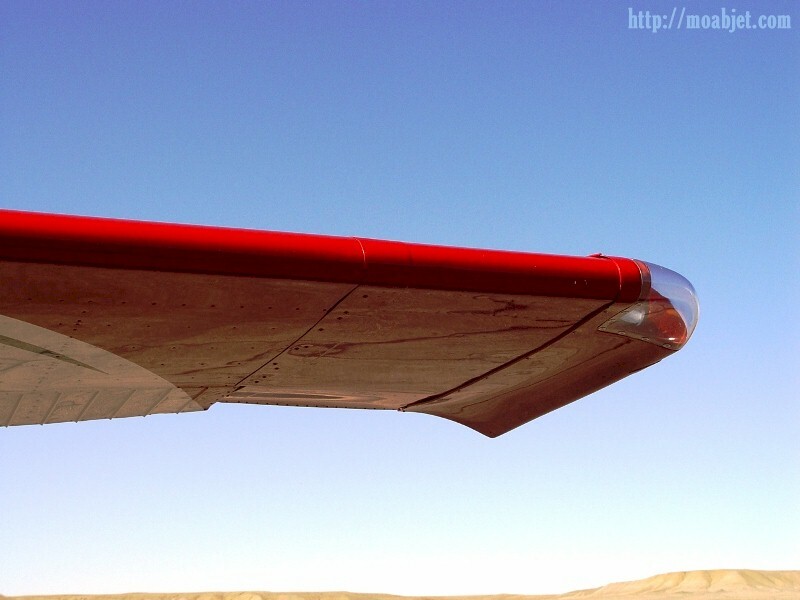 The extra wing surface and their flared tips help to create a slower stall speed and greater overall lifting capacity. Up front, the King Katmai sports two airfoils known as canards. Sprouting from the beltline of the engine cowling, these mini-wings add lift at the front of the plane, where one often needs it most. By adjusting the canards’ angle of attack, the pilot can trim the plane for slow speeds and level flight, thus providing better forward-vision during a landing approach. After our visit, Todd graciously offered me a DVD, which shows takeoffs and landings at many remote airstrips in Southeastern Utah. For a novice flier, an airstrip with a steep drop-off or a cliff-face at the end of the runway might seem daunting. For Todd, it is all in an afternoon’s fun. 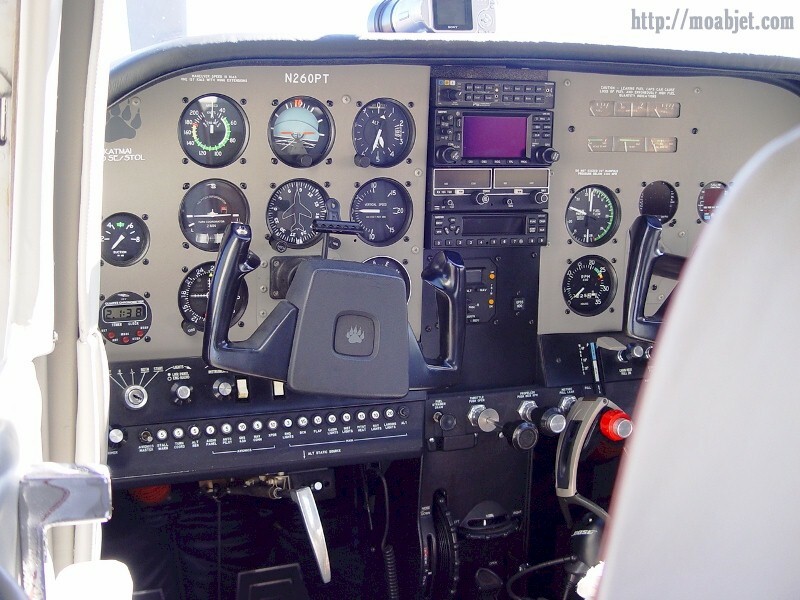 Utilizing a dashboard-mounted camera, the viewer sees exactly what the pilot sees as he maneuvers the airplane. Todd offers live narration on approach, landing and takeoff at each field. If there is a nearby archeological point of interest, Todd takes you on a tour of that, as well. On his website, both the Utah DVD and a new Idaho DVD are for sale at a reasonable price. For most Americans, the archetype of a bush pilot is a man flying a float-plane, somewhere in the wilds of Alaska. Now there is a new breed, using wheeled aircraft to access remote and exotic sites. Although the price tag for this back country access by air is not low, an expenditure of less than $400,000 gives any intrepid pilot the best “off-road airplane” in the sky. Immediately, my daydreams went to a seldom-seen airstrip in Canyonlands. There, the love of my life sits to my left and my King Katmai sits a little farther away to my right. Alone together, my love and I toast the sunset with chilled champagne in crystal. After dinner fresh from our grill, we stop to view the night sky, and then retire to our tent. Our accommodations include a queen-sized airbed, with luxury bedding. There is a hot water, enclosed shower just outside our door. Respecting the peace and quiet of our unique campground, we use battery power for lights and refrigeration. With the huge cargo carrying capacity of our King Katmai, we can “pack in” almost anything that we want and still not exceed our aircraft’s safety margins. Before turning in, we plan a day hike up an untracked canyon. To keep the terrain untracked, we will use its dry stream bed as our trail. When the planning is done, we slip between clean sheets and dream about this little adventure that we are living. What is it that “they” say? “If you can dream it, you can do it”. As I returned from my reverie, activities picked up elsewhere at CNY. The afternoon flight from Denver was about to arrive. When a commercial aircraft is approaching, the public must leave the field. 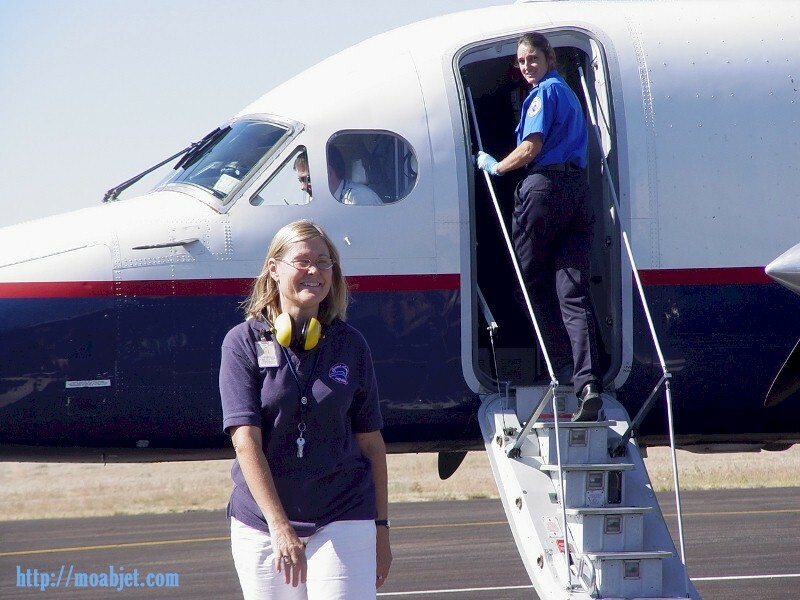 Thus I missed getting a picture of Tiger out on the tarmac, as she provided ground and parking control for the pressurized sixteen-passenger, twin-engine turboprop. In 2007, I had flown from Moab to Burbank, California. In order to do so, I first flew on a smaller turboprop to Salt Lake City, Utah, then another flight to Phoenix, Arizona and then a final flight to Burbank. At the time, the only way to fly to Denver was first to drive ninety miles to Grand Junction, Colorado and then take a flight from there. Last year, it took me over eight hours to reach my destination. Since then, Moab’s air service has markedly improved. 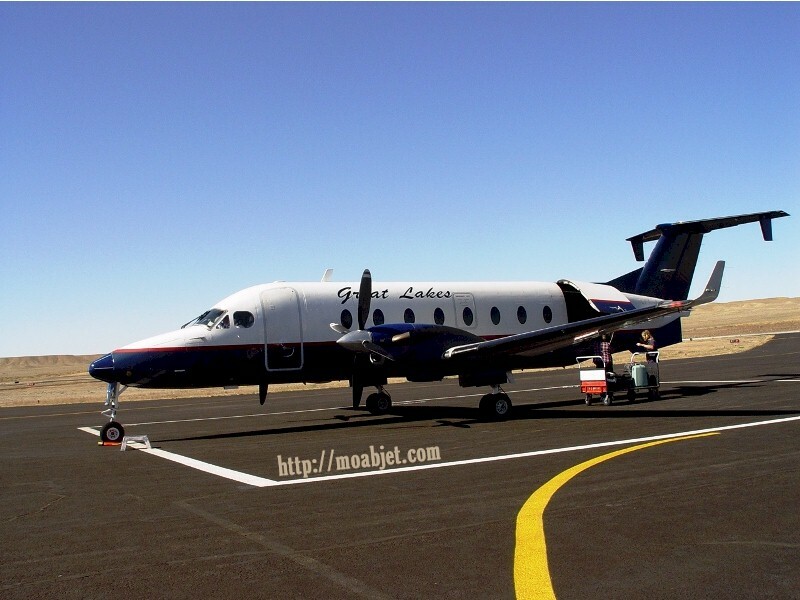 Great Lakes Airlines, a well-recognized regional carrier, with an excellent safety and maintenance record, took over the Moab scheduled-service contract in 2008. The new twice-a-day flights to Denver improve convenience, since Denver is the largest hub in the Mountain West Region. The Moab to Denver service allows one-stop service to Burbank and many other regional airports. 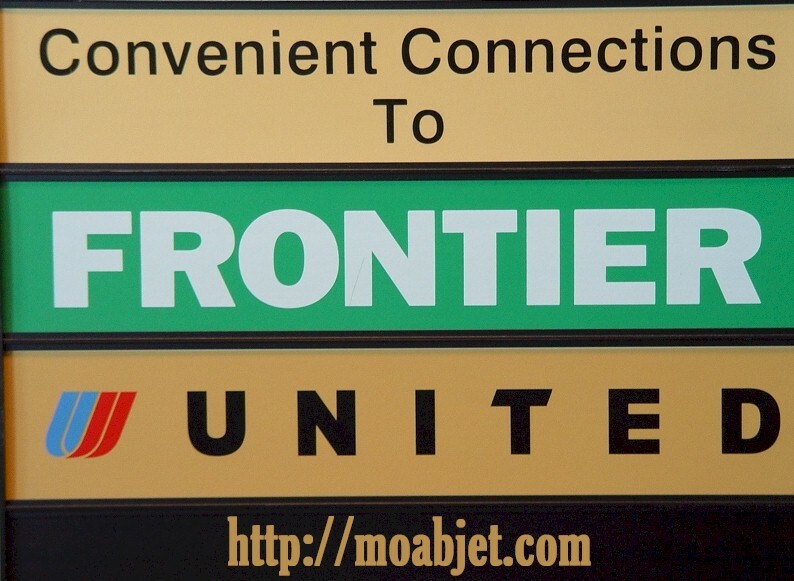 Additionally, each Great Lakes Airlines flight out of Moab Airport shares flight codes with the regional carrier, Frontier Airlines and with United Airlines, which is the largest carrier serving Denver International Airport. This new service is another great example of U.S. federal grant money going for the public good. 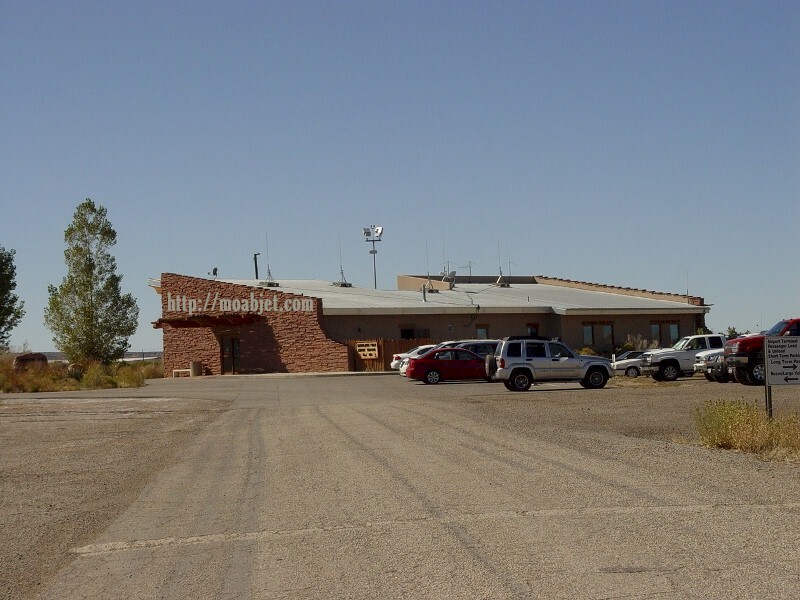 Now, Moab and the fast-growing Southeastern Utah area can enjoy the highest quality service and security available, right there at Canyonlands Field, just a few miles north of town”. On that September afternoon, the Great Lakes Airlines Pilot finished his post-flight checklist and then came out to enjoy the fresh air at Canyonlands Field. Having helped remove the checked baggage from the plane, Tiger could once again go inside and resume her ticket counter duties. Ever vigilant, one of Terry Carlson’s TSA staff members entered the airliner cabin to conduct a routine check. At the same time, Tiger’s smile tells us how much she enjoys her job. Tiger, a native of Moab, grew up believing that a woman could do any job, if given the opportunity. These days Tiger works four days each week in downtown Moab, where she handles administrative duties for Cloudrock. Author's Note - Cloudrock was a luxury residential development that received first-phase approval by Grand County, Utah in 2008. Located at Johnson’s Up-On-Top Mesa the company pledged to respect the environment as it developed $million homes, almost in the shadows of the La Sal Mountains. With the economy for luxury second homes drying up like the aquifer it might someday straddle, Cloudrock closed their website and their office on Main Street, Moab, Utah in early 2010. 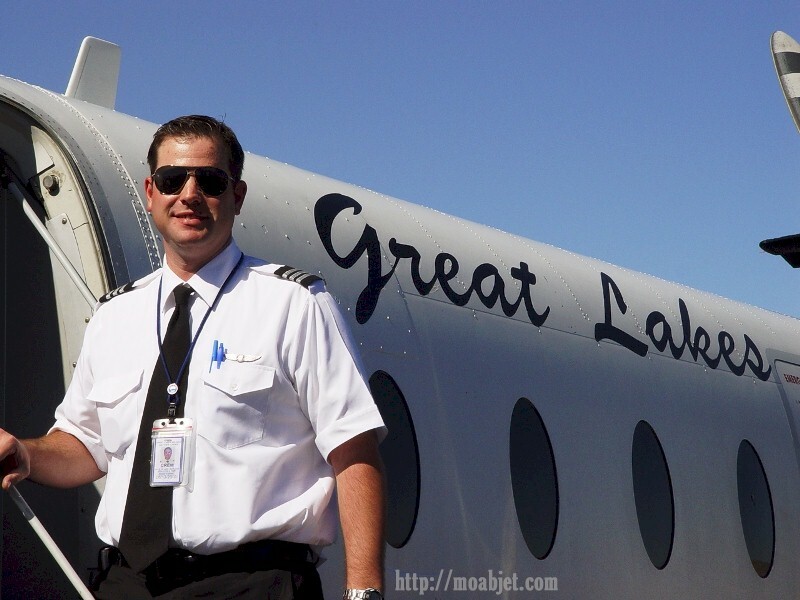 As a break from the land development business, one day each week Tiger enjoys the physical and intellectual challenge of balancing ticket agent, ground crew and baggage-handling duties for Great Lakes Airlines. After my visit to Canyonlands Field that day, I had to tell the world that this is one of America’s great places. If you think that all government projects are a waste of money, come to Canyonlands Field and experience the excellent services available to Moab residents and visitors alike. Now that more corporate executives and government officials will be “flying coach” to their second homes or vacations in Moab, we are sure that they too will appreciate the new amenities. Rather than driving to Moab the next time I visit, I plan to fly.